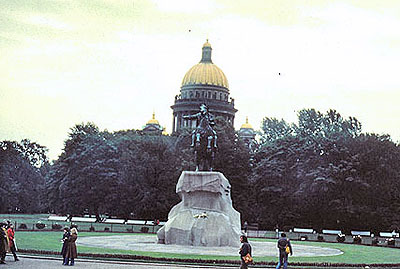 This is a view across Decembrists Square (with the Bronze Horseman in the center) towards St. Isaac's Cathedral. At the time of the Decembrist revolt in 1825, the Square was called "Senate Square" because immediately to the rear of the square was the new Senate (government) building that had been erected in 1763. The other end of the Square opened onto the Neva River. This was only a few hundred yards from the Winter Palace. The Decembrists were the start of Russia's long revolutionary movement. There is also a lecture by the late Professor Michael Boro Petrovich available on the web on this page. Citing specific evidence from the information about the Decembrists, what were the some of the main causes of the Decembrist Revolt? (Please make sure that you cite sources.) Your paragraph should be about one-half page in length, double-spaced with one-inch margins, font size 10 or 12; it should contain a concise topic sentence that directly responds to the assigned question (no need to define terms or cite a dictionary) and use direct, quoted material to support your points. You may consider submitting a draft of your assignment to your instructor for feedback before submitting the assignment for a grade. Please send some specific questions that you would like answered about your draft. The questions can be general (Is my thesis/first sentence clear?) or specific (Is the phrase, "Chardin was jeweller," written correctly?). Your assignment should be sent to your course instructor following the directions for submitting assignments. Please take a moment to review Charlie's History Writing Center for specific information on the writing requirements for the assignments in the course.